Let’s talk by considering a situation which almost everybody has faced. You are chatting with your school friend and your sister. Now you want to share a message with your friend but accidentally you sent it to your sister, this happens due do instantly coming messages in the inbox. If the message is not appropriate for your sister then it will be a problem and it would be embarrassing. Believe me or not everyone has been in such situations in one or other time in his/her life we are here to suggest some ideas for controlling this happen. ‎ The official WhatsApp app is one of the answers for your question you can download it from the google play Store for free after the time when Facebook ever watch Sophia able to see a lot of updates even you feature and other stuff. ‎ In the beginning years the messages which bad accident please share bear big problem for people so Whatsapp decided to let its users have some protective feature. 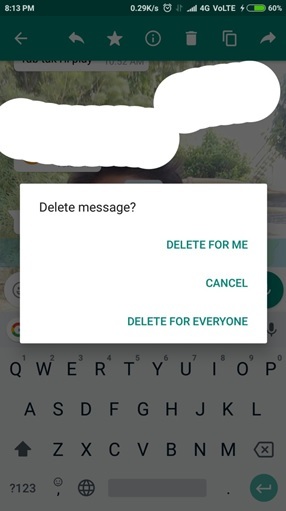 There you will see “Delete for Everyone”option, press it. Now the reader can only read, “This message was deleted” , thus you are safe from embarrassing problems which you would have faced before knowing this. ‎You will also notice that you do see that “You deleted this message” in that message. Make sure you have the latest WhatsApp version to you this feature. If your friend colleague or some other friends or family members, who have already got this version, you can simply take the apk from them. Though this feature saves you from embarrassing problem what if the message is Seen and already been read by your receiver before you deleted that message. To apply this features successfully, you and your reader both must have the latest version of WhatsApp. 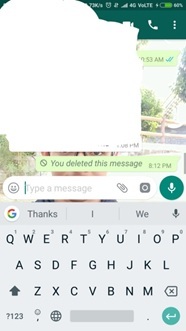 This feature works if you press “Delete for Everyone” within 7 minutes of sending the message, after 7 minutes there is no way of deleting it. The Internet Connection or Wi-Fi Connection must be good so your actions can be conveniently interpreted. In one way or other, this feature would have helped you. (2) The Other Way:-If your phone is too old to get a WhatsApp update or it cannot implement “Delete for Everyone” or may Not be fast enough to save you, do know that there is a lifesaver for you!“Gbwhatsapp”This GBwhatsapp that was developed by rising technology genius, who are excellent at work, even when WhatsApp didn’t give this feature, Gbwhatsapp gave that feature to us, so it did not help. Open any browser and simply Thai GB WhatsApp you can get apk from anywhere from that page. 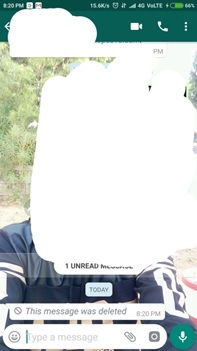 Now the reader can only read, “This message was deleted”, thus you are safe from embarrassing problems which you would have faced before knowing this.